The increasing work pressure and the growing competition are the two main reasons why more and more people stay glued to their desks for longer hours. All this, along with maintaining a work-life balance, hardly leaves people with enough time to be active and take care of their health. It often results in gaining weight that in turn leads to obesity, diabetes, high blood pressure, high cholesterol, heart ailments, etc. These ailments are harder to counter as you age. Staying fit and exercising is a way of life, and best developed when you are still young. As you get older, working out is harder due to years of inactivity. Further, it has a higher chance of potential injury as your tissues weaken over time. Getting started on a regular exercise routine is not as difficult as it may seem. All you need to do is to get a bit organised. 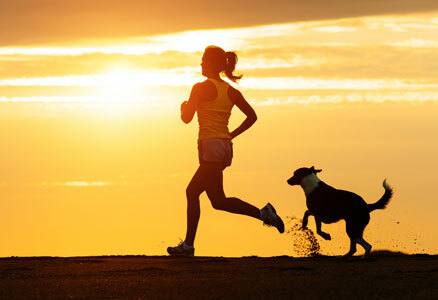 Here are three ways in which you can maintain an active lifestyle and stay healthy and fit. Whoever said that you can stay fit and healthy only if you sweat it out in the gym, was not thinking straight! Going to a gym regularly is beneficial, but not always possible. However, you can easily work out by installing few exercising and fitness gear in your home or office. Get the help of a fitness expert to help you pick the best equipment. He will also help you chalk out a workout plan that fits you. Once all this is done, take time out to work out whenever you can. Get up early and work out at home before going to work. Exercising in the mornings will get your blood flowing and help you work better too. You can also do light exercises at work during your breaks. If you thought that working out for two or three hours is the only way to stay healthy and fit, think again. Fitness experts believe that it is the quality of the workout than the quantity that matters. So, make sure that your workout session, irrespective of its duration is productive. You can ask a fitness expert to help you plan a workout regime that will give you the maximum benefit in the time that you can spare. However, make sure that you do not miss your fitness routine and practise it diligently. Sparing time for a fitness regime into your daily routine can be difficult. However, with proper planning, you can find the slot in your daily schedule to take care of your health and well being. Just like you keep a track of your appointments and meetings, planning ahead will ensure that you don’t miss your exercises. This will also make it easier for you to plan your other activities around your workout session. Try doing this before a new week begins. Follow these methods to ensure that the daily stress and grind of your life do not hinder your fitness programme. These are the best ways in which you can stay active and physically fit in spite of your busy schedule. Did you know how much difference a glass of healthy juice in the morning combined with your daily workout can help you? Try our exclusive sugar free healthy juices range today!